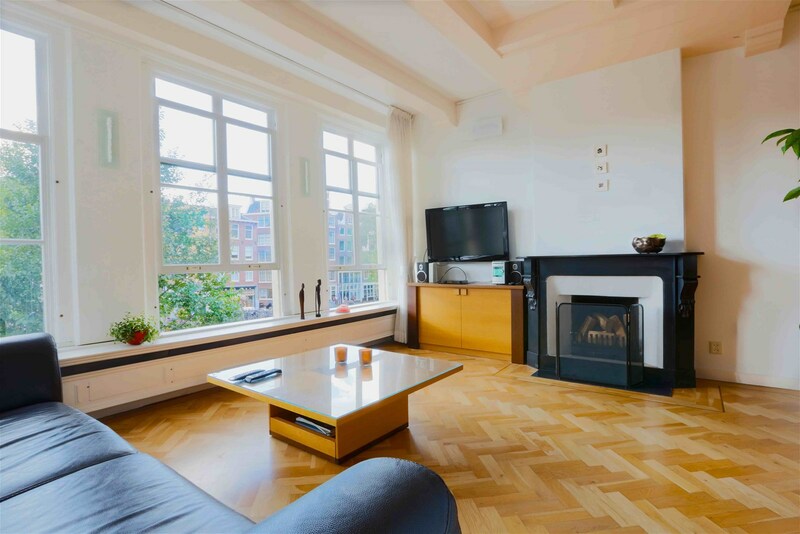 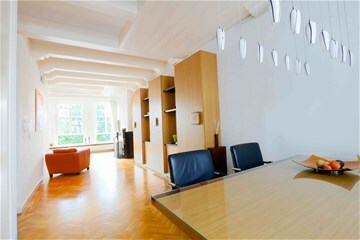 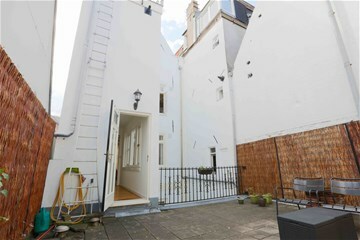 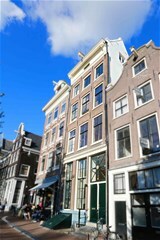 Stylish, spacious, bright split-level apartment located at the second floor of a well maintained monumental building along the Prinsengracht within the cozy, trendy 9 streets area and opposite the beloved popular Jordaan. 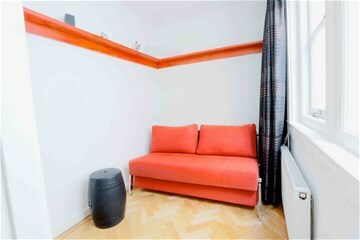 Thus within reach there is everything you may need: daily shopping, in vogue fashion boutiques , good restaurants, cosy bars, trendy terraces etc.. 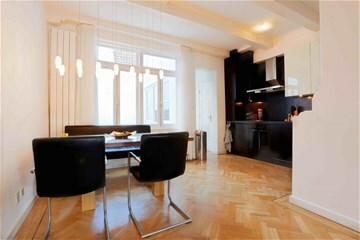 The surface of this amazing fully furnished 1 1/2-bedroom apartment is approximately 90 m2, and is ready to accommodate you in comfort. 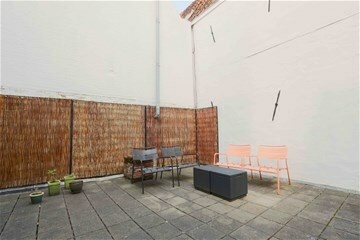 The icing on the cake is a big 25 M2 sun terrace where you can BBQ in summer. 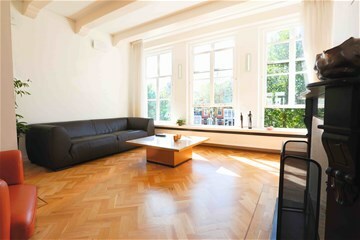 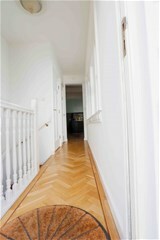 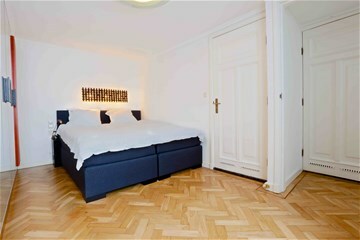 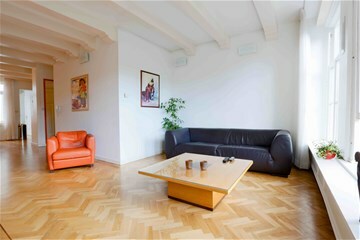 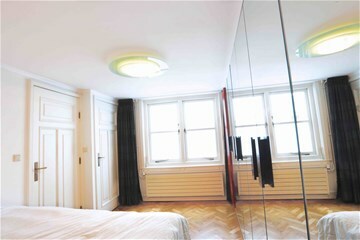 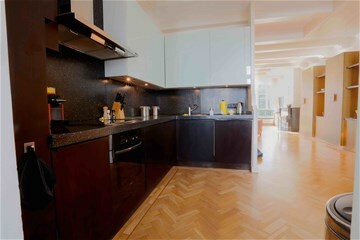 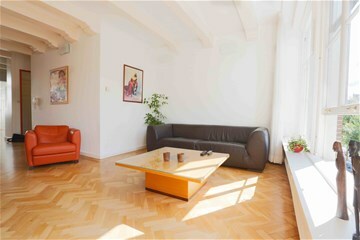 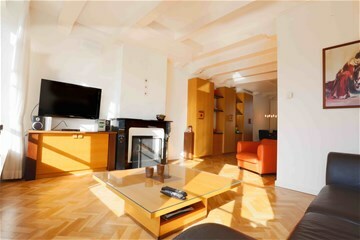 The fully renovated apartment looks great with the fishbone parquet floors, and the high beamed ceiling. 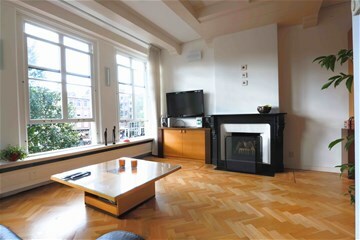 The living area has an amazing 3 window canal view and the working chimney adds to the relaxing feel. 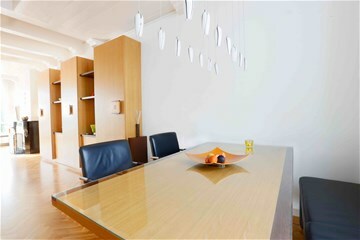 The open plan design with the modern and fully equipped kitchen and dining area gives it a spacious feel. 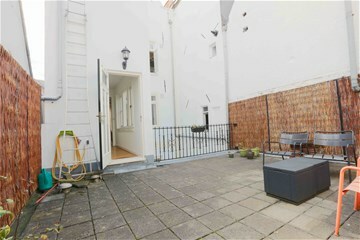 The Master bedroom is a level lower under the terrace at the backside. 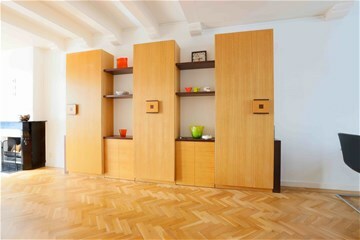 It has 4-meter-long cupboard thus plenty space to store your belongings. 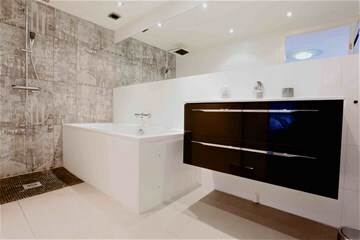 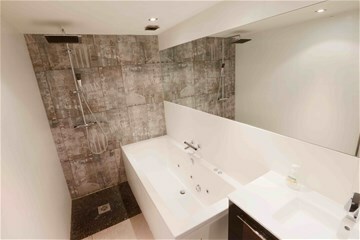 The en suite bathroom gives a luxurious feel with its jacuzzi bathtub, the separate rain shower & the double sized washbasin. 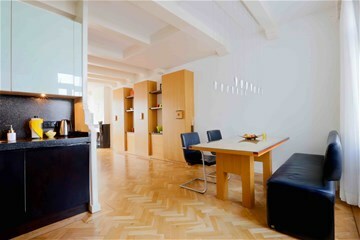 On this level you will also find a cupboard containing a washing machine and a dryer. 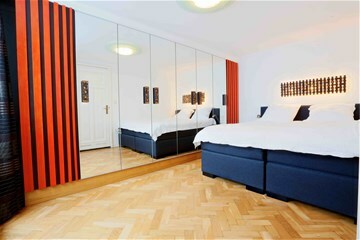 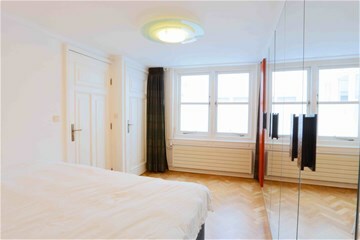 And last but not least there is this tiny second bedroom which we feel is too small to advertise as second bedroom. 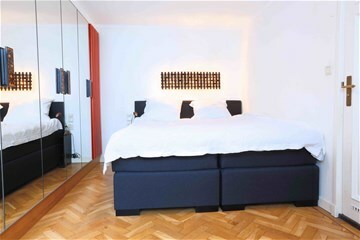 But anyhow provides your potential guests with the luxury of a very comfortable twin sofa-bed.